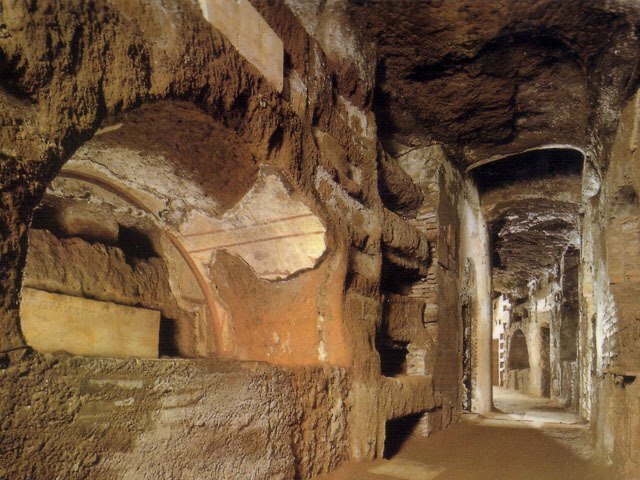 Walking tour through some of the most important Basilicas in Rome and Catacombs. 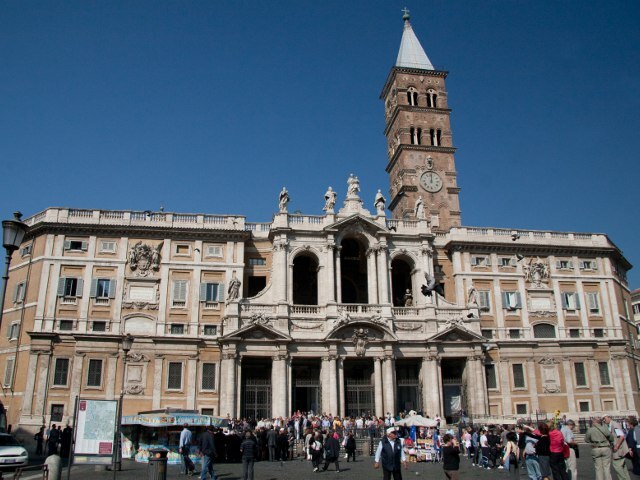 Tour main features: The first stop will be on the Esquiline Hill where our guide will show you some of the treasures inside the Basilica of Santa Maria Maggiore, before continuing by coach to stop and see the Holy Staircase and the Lateran Palace before visiting inside the Basilica of San Giovanni*, the cathedral of Rome (visit inside). Then proceeding along the Ancient Appian Way, you will pass by the Chapel of “Domine Quo Vadis?” before arriving at the Catacombs, the ancient underground cemeteries and first hiding places for the Christians. A visit will be made to either the Catacombs of S. Callisto, Santa Domitilla or San Sebastiano depending upon seasonal conditions. The tour will end with a spectacular view of the Baths of Emperor Caracalla. 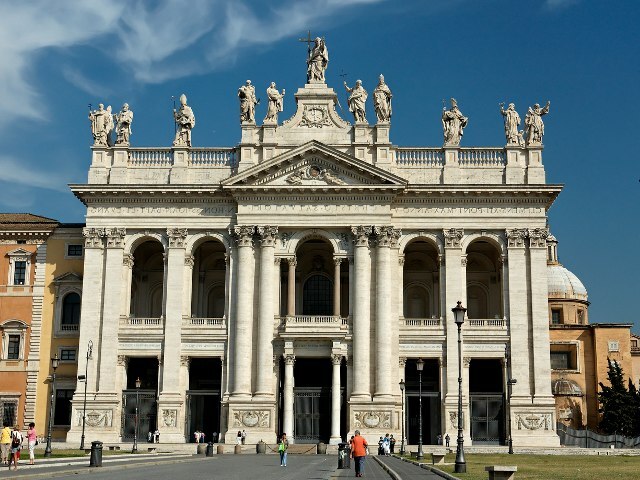 The Itinerary: Basilica of Saint Mary Major, Basilica of Saint John Lateran, Catacombs, Appian Way. Price: Euro 50.00 per person. Infants up to the age of 2: free. Children between the ages of 3 and 7: Euro 39.00.